This hairless perennial, with pinnately multiply-divided leaves, has yellow or orange flowers with four overlapping petals, a four-part stigma and numerous anthers, The petals are backed by four hairy green sepals that fall off when the flowers open. Flowers, which are up o 7.5cm across, are borne singly on thin green stems typically 40cm in height but occasionally attaining 60cm. 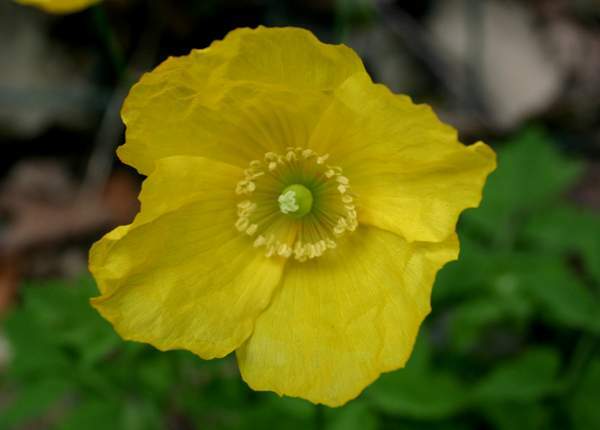 Despite its name, Welsh Poppy is widespread throughout the western part of Britain as well as eastern Ireland; it occurs as a garden escape elsewhere. This plant is native to Europe, and in mountainous areas it can be found as far south as parts of northern Spain and Portugal. In Britain and Ireland, Welsh Poppy blooms from June to August. 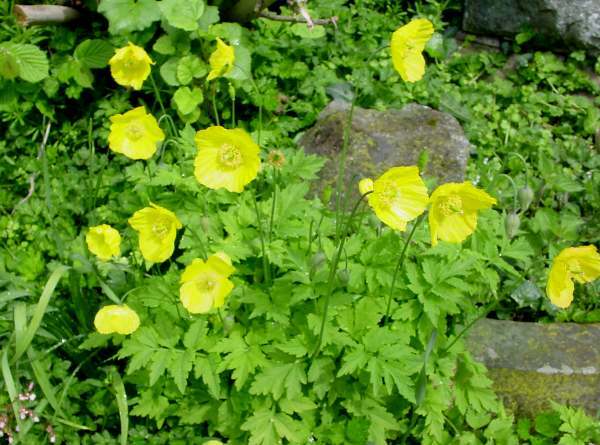 Welsh Poppy is particularly fond of damp, shady places and is often found where woodland borders a river or stream. 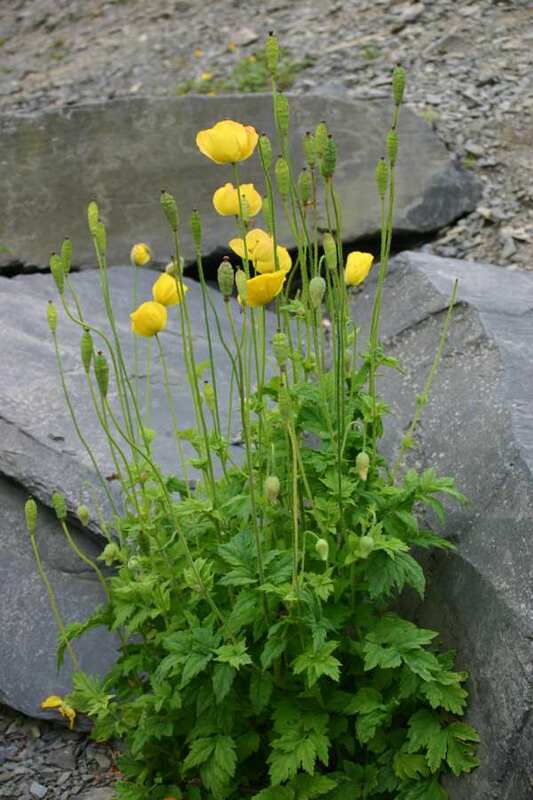 The fine clump of Welsh Poppies pictured below was photographed in the Mawddach Valley in Wales. The specific epithet cambrica comes from Latin and means 'of Wales'.